Discussion Face Balanced Blade Putters? Face balanced putters fit my stroke best but I still haven’t gotten used to the mallet look / weight. 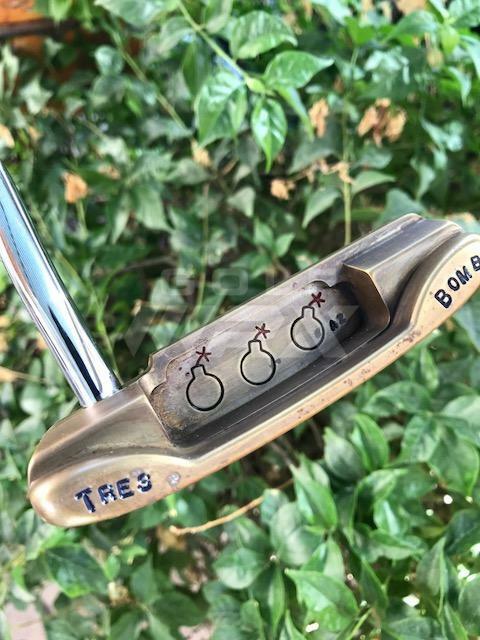 Are there any blade putters out there that are face balanced? Some good suggestions in here. I am in the same boat. The Ping milled anser 5 is a great option, used it a lot this last year but to me its a little light. Got a Betti ss9 that I am liking a lot so far. Scotty notchback is pretty close to face balanced if I remember right, maybe the 2.7 too but they are somewhat rare. This MannKrafted Brass MA/66 is! Anser 5, or check out Nike Method B02-05 putters. They can be purchased for really cheap. You can tell how much hang most putters have by looking at how the shaft plane line intersects the putter head. If you are looking for face balanced, look for ones where the shaft line(main part of the shaft) intersects the head if you were to draw a straight line from the grip, down the shaft line, and thru the putter head. Your head tow hand putters will meet closer to the heel, face balanced putters in the center of the putter head(heel to toe). Bettinardi signature series 7. Face balanced, great feel, good weight to it. 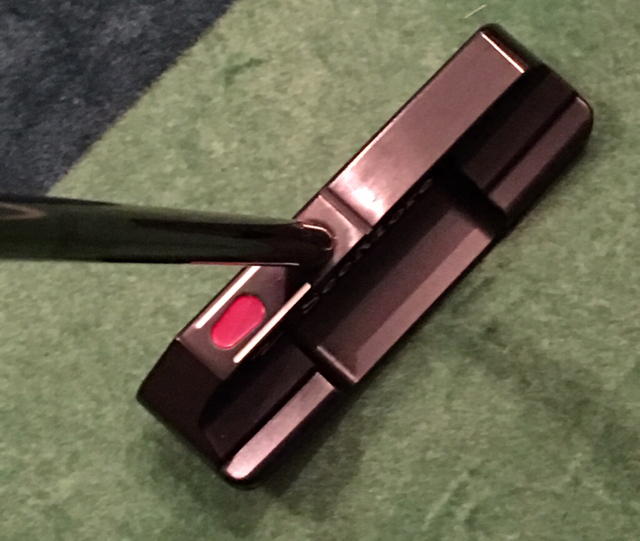 I make more putts with a mallet, but I love the look and feel of the SS7. I have a couple of Bettinardi models that are either face balanced or near face balanced. The Queen Bee 6 is also face balanced. 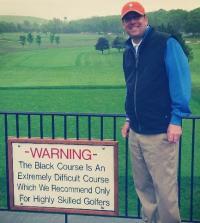 What the heck is a face balanced putter anyway? Honest question. I have played golf for 30 yrs and never paid much attention to putter 'technology'. 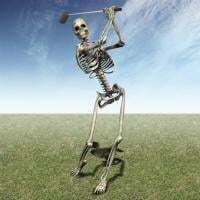 I have used everything from a bullseye to a W/S 8802 to an Anser 4, and with all I just make sure my putter face points directly at my target at impact and roll the ball. It's a 2 mph stroke for goodness sake. Where does the 'technology' come into play? Take your putter and rest the shaft across both hands with the face pointing straight up. A face balanced putter will stay that way without you putting effort to hold it there. A putter with toe hang will rotate with the toe pointing downward to some extent. The head balance will effect the natural desire of the putter head to rotate through the swing. People that have more arc to their stroke many times tend to favor putters with toe hang as it will aid in the rotation of the face to square during the stroke. Those with less of an arc can struggle with the same type and might favor more of a balanced putter. There are no rules, it's just a property that can help/hurt depending on how it matches up. Cool, I never knew this. But to not not have the putter roll in your hands, wouldn't the shaft have to go into the head right at the center of the face? Almost all putters I see are toe heavy. Regardless, as I said, it's a 2 mph stroke, can't you control the face to point directly at the target at impact even if it is a garden shovel? See above where I mentioned it before. Face balanced putters will almost always have a main shaft line that will visually intersect the center of the face. With double bend shafts and a few others, they don't need to physically attach at that point but the plane line of the shaft will pass through the center. That's normally the easiest way to tell without physically touching them. I understand now. 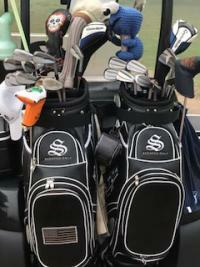 I just hope that golfers aren't relying on their $500 Scottys to hold the face square for them rather than using their own will and face awareness. Have have been a blade guy my whole life and then bought a Scotty Cameron Futura X5. When you start putting better you will get past the look of the mallet. Edel have a torque balanced putter. I had an olddddd Bettinardi BB1-MS that was basically face balanced. Any long neck plumbers neck usually comes in **** near face balanced. Also Scotty Cameron Catalinas are blades with a double bend shaft that face balances it. A putter that faces the sky when balanced horizontally on your fingers makes absolutely no sense to me in terms of a putting stroke. Face balanced putters need a good degree of grip pressure in the actual stroke, otherwise the head just flops open to an alarming degree. Can't say I grip mine with much pressure at all, and no it does not "flop open". I think a lot of the SeeMore's are face balanced blades. Anser 5............I got the milled version and counterbalanced it with a clevis pin at 33” and it’s been great so far. I would disagree unless you are talking about address. I have much more putter face rotation with a toe hang putter through the stroke vs face balanced. It's not something you can really disagree with, however, you'd only see the relationship between grip pressure and your putters design when swung in a Putter Revealer.